A further nine core products from the Young’s Foodservice range now feature the MSC eco-label on pack. 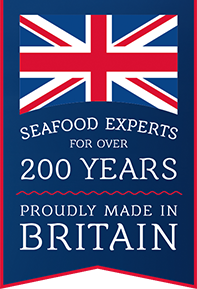 As the UK’s leading fish and seafood brand, Young’s remain at the forefront of sustainable practices and are dedicated to driving responsible seafood strategies forward. Not only is sustainable seafood the best choice to protect our planet, but it also reflects positively from a customer point of view too. Foodservice operators who purchase Young’s Foodservice range can confidently promote the MSC eco-label on their menu and relay this information to their customer base resulting in huge benefit to the end user. The MSC certification means that all fisheries used within the company supply chain have demonstrated that they are well managed and sustainable through a comprehensive, independent scientific assessment. The MSC Ecolabel is only applied to wild fish or seafood from fisheries that have been certified to the MSC Fisheries Standard. It’s no secret that fish is a fantastic food to include on school menus due to its high protein levels and omega 3 fatty acids, but MSC certified seafood also helps schools earn Food for Life points. The programme, run by the Soil Association helps schools create healthy school meals and provide food education to the students in their care. As well as meals cooked from scratch, use of free range eggs and ingredients that can be tracked back to the farm; sustainably sourced seafood is also one of the standards in place to achieve the award scheme. Furthermore, Young’s market-leading Fish for Life Corporate Responsibility Programme is another way in which the company protects the future of fish by employing sustainable practises from the very first catch. This involves working proactively fisheries, fishermen and promoting a healthy and diverse marine ecosystem within the company’s supply chain.